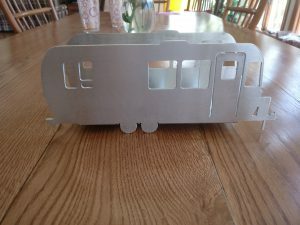 We are now offering Airstream Number Plates, and Name Plates. 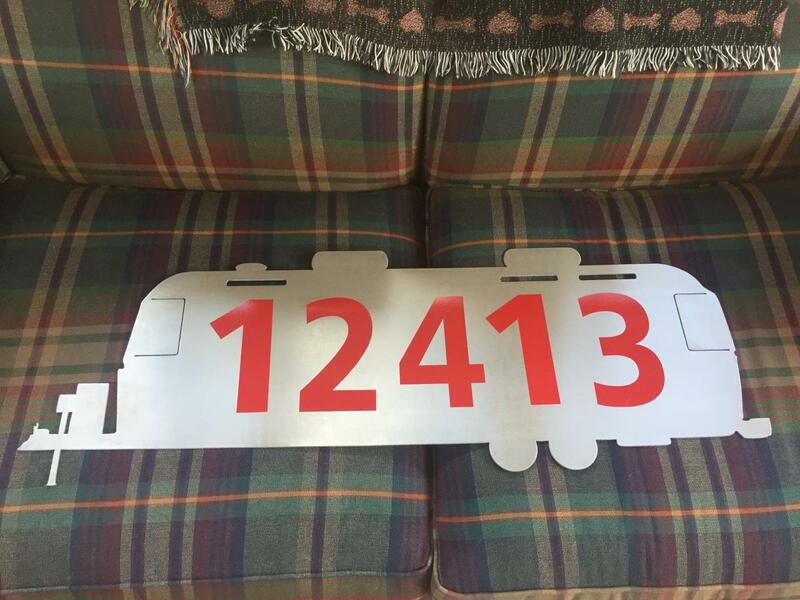 If you are wanting a creative way to display your WBCCI numbers without permanently affixing them to your Airstream then check out our number plates. 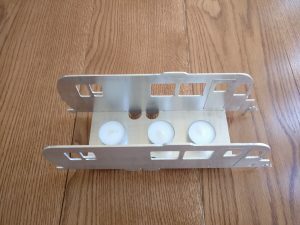 We custom design the number plates to match your Airstream. Send us your year and model and preferably a photograph of your Airstream to get started. The number plates start at $65 for four numbers and $75 for five numbers (plus shipping). 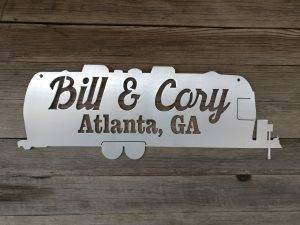 We offer a custom nameplate to display your family name and your home city and state. 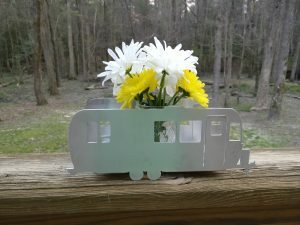 We design these in the shape of your Airstream with your information added for $70 plus shipping. 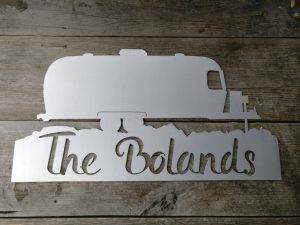 The approximate dimensions are 24″ by 8″ but varies depending on your specific model of Airstream and the length of your name. We also offer combination number and nameplates. With these, you can display your WBCCI numbers and your family name all in one sign! These designs start at $95 plus shipping and can be customized however you desire. 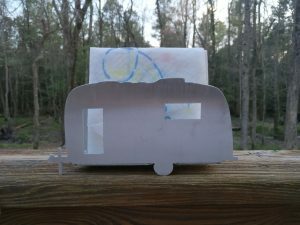 *Weathered and Worn is not affiliated with Airstream in any way other than being fans of their products. Airstream is a trademark of Airstream USA.